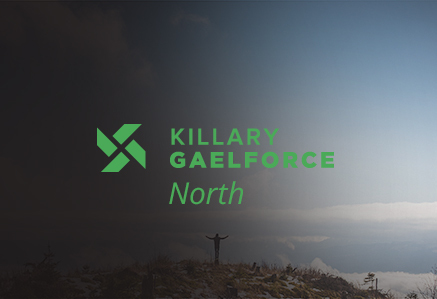 Expect rain and wind, sunshine and waves, expect the elements and rise to your challenge at Gaelforce North 2018. The route takes you from the jagged peaks of Glenveagh National Park via the bog and scree of Mount Errigal to the sweeping sandy beaches of Bunbeg. The terrain includes rough tracks, mountain scree, trails, sealed roads, shimmering lakes and sand dunes. Stay on dry land – same great routes as the Full and Sprint Courses, just no kayaking. Starting at the southwest end of Glenveagh Valley running along a narrow path through the Bridle Pass, into the grounds of Glenveagh Castle and up and over Gartan Mountain (200m height) to Gartan Lake. This is a remarkable run through the valley and past Lough Veagh. Watch out for the Golden Eagles! A marked route is followed up and down Mount Errigal. Terrain is varied, including bog nearer the base and scree further up. Competitors must reach the base of Errigal by 1.30pm otherwise they will not be allowed to climb. From the bottom of Errigal it is a short cycle of approx 3.5km to Dunlewy Centre and the Kayak transition. There is a time out at the kayak transition except for those in Wave 1 competing for a podium position. The boats are tandem sit-on-top kayaks. You will paddle a looped course on the lake. For the final stage you will cycle back on to the R251 turning left. At the next T Junction you will turn left on to the N56.After approx 3km in Gweedore you will turn right on to the R258 into Bunbeg. Turn right at the T-junction and follow marshals and sign posting to Inishcool Beach. The race ends with a short run along the dunes to the finish line. The course is the same as that above, but without STAGE 4. Starting at the southwest end of Glenveagh Valley running along a narrow path through the Bridle Pass, passing through the grounds of Glenveagh Castle and to the bike transition in the car park. This is a breathtaking route and one you will remember forever. Cycling on sealed tarmac roads through Glenveagh National Park and alongside the Derryveagh Mountains, to Errigal Mountain. Up to the shoulder (approximately half way up) of Mount Errigal and back down. Terrain is varied, including bog nearer the base and scree further up. For the final stage you will cycle back on to the R251 turning left. 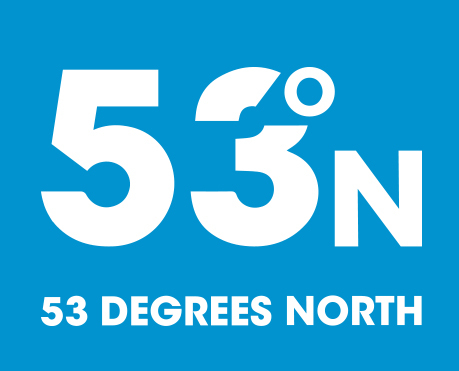 At the next T Junction you will turn left on to the N56. After approx 3km in Gweedore you will turn right on to the R258 into Bunbeg. Turn right at the T-junction and follow marshals and sign posting to Inishcool Beach. This course is the same as that above but without STAGE 4. All prices shown include bus transfer to start line. You must be over 18 years of age on the day of the race to enter. Return customers can avail of a 10% discount by emailing info@gaelforceevents.com with the year you did the race and your finishing time. We will send you a discount code to use for your online entry. Please note t-shirts are ordered 4 weeks in advance of the race. Entries after this may have to have t-shirt posted out. From 17:00 to 22:00 Friday 21 September 2018 at Glenswilly GAA Club just outside Letterkenny. For all races the wave start times are at 07:00 and 07:30. These are the times the buses leave Bunbeg. The race starts 1.5hrs after this. Note: You must be in Wave 1 (07:00) with no time out in order to be considered for a prize in any category. 5. Find a friend or group to train with and to do the race with. 6. You will be out there on the day for a long time so you need to train for that. 7. Build stamina and strength. 8. Do not get stressed the day or the evening before. 10. Do it for a reason. Need more advice? Read our staff member’s First Timer Blog from her experience of doing Gaelforce North to get the inside track! SPECTATORS ARE VERY WELCOME AT GAELFORCE NORTH AND YOUR SUPPORT WILL BE MUCH APPRECIATED BY THE COMPETITORS. It is not possible to spectate at the start line as access here is very restricted. Trophies for 1st, 2nd and 3rd male and female in the Full Course. Free entry into next year’s race for the 1st male and 1st female. Trophies and free entries for 1st male and 1st female in the Sprint Course. Trophies for the 1st male and 1st female in the Full Course and Sprint Course Adventure Duathlons. Trophies for 1st male and female in Vets and Super-Vets categories for the Full Course only. IT IS VERY IMPORTANT TO NOTE THAT YOU CAN ONLY WIN OVERALL OR A CATEGORY PRIZE IF YOU START IN WAVE 1.